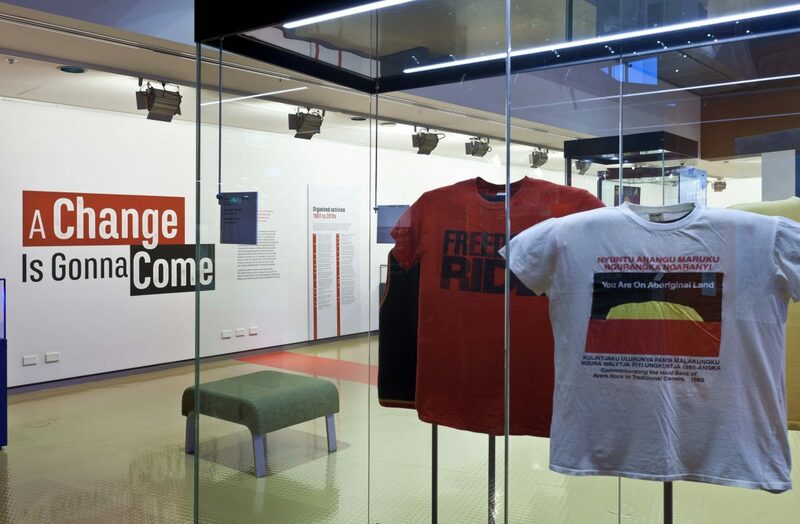 This temporary exhibition at the National Museum of Australia explored the history of Aboriginal and Torres Strait Islander activism. 2017 was the fiftieth anniversary of the 1967 referendum. It was also the twenty-fifth anniversary of the Mabo decision. 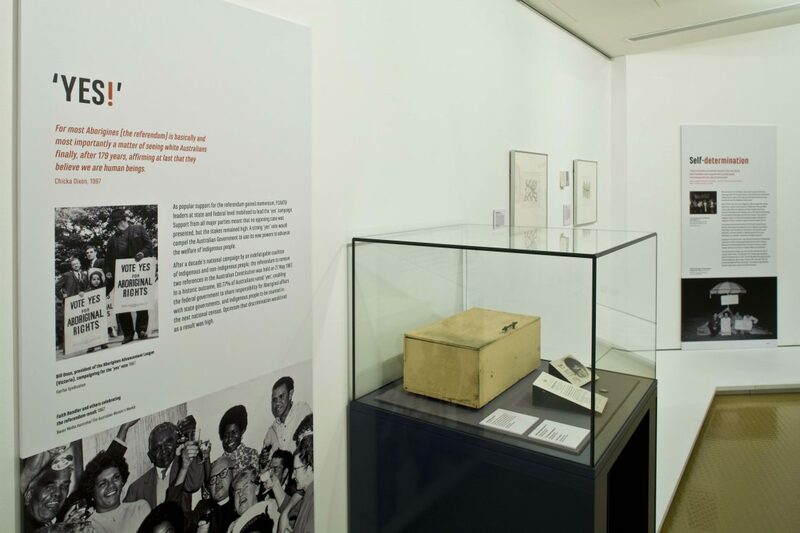 The exhibition looked at the hard work and dedication that led to these two milestones. It also asked whether change really has come for Aboriginal Australians and raised questions about where to go from here. Working with Maria Mosquera Design + Illustration, we created a visually striking exhibition with a sense of momentum. We used a strong and simple colour palette of red, black and white. 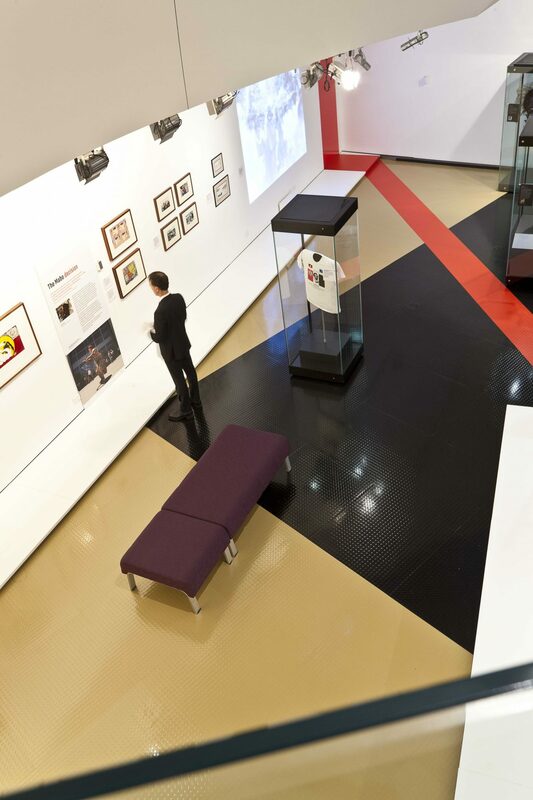 The bold red stripes on the walls and floor marked the limits of the exhibition, matching the strength of the protest banners. 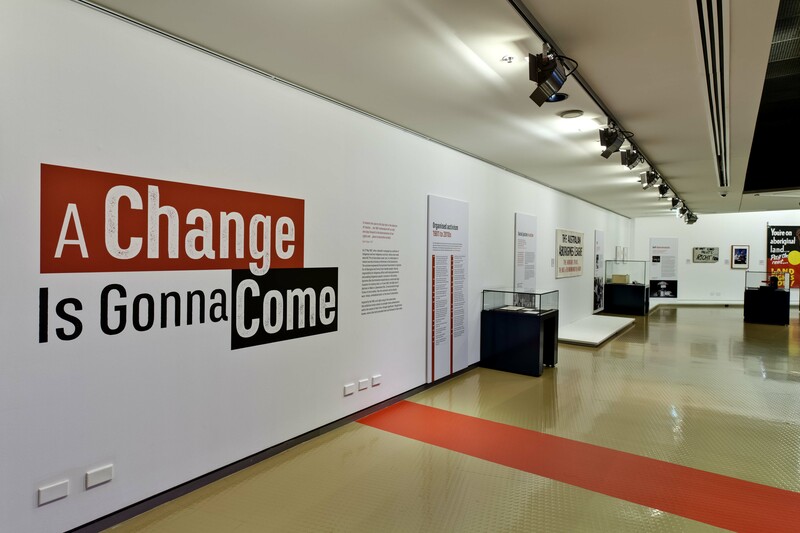 A Change is Gonna Come contained a mix of large, bold works combined with smaller-scale historical objects from the Indigenous activists, including badges, pamphlets and an original referendum ballot box. We placed the large works on the walls and the smaller items in central showcases. The exhibition opened in May 2017 and ran until early 2018 in the First Australians Focus Gallery at the National Museum of Australia, next to Evolution: Torres Strait Masks.